As promised in Lima in 2014, the REDD Early Movers program officially expanded to Colombia this year, with Germany, Norway, and (soon to join) the UK signing a more than $100 million agreement to pay the tropical forest country for reducing deforestation. 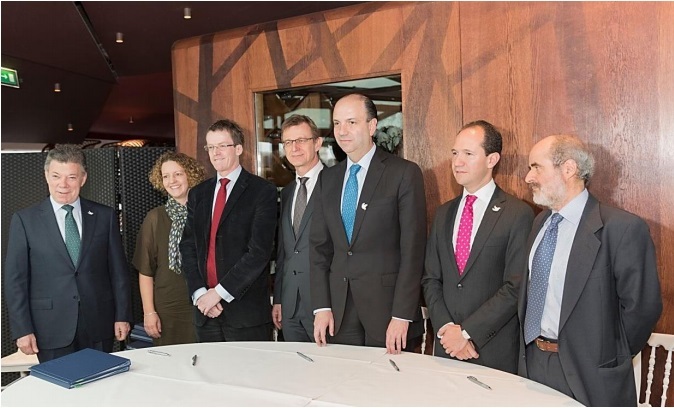 1 December 2015 | PARIS | German development bank KfW and Norway today signed an agreement with Colombia, agreeing to pay the tropical forest country 10.5 million euros (12 million USD) and 400 million NOK (53 million USD), respectively, if it successfully reduces emissions from deforestation. The United Kingdom recently approved an additional contribution of 30.4 million GBP (48 million USD) in another contract that is forthcoming “before the end of the year,” bringing the total pledge to Colombia to over $100 million. The signing marks the official expansion of the REDD Early Movers (REM) program to Colombia after the partnership was first announced at the 20th Conference of the Parties of the United Nations Framework Convention on Climate Change (UNFCCC) in Lima, Peru last year. A key tenant of REM is that it is a payment-for-performance agreement, meaning that Colombia must achieve and verify the emissions reductions associated with avoided deforestation in order to receive the funding. REM rewards emissions reductions, measured in tonnes of carbon dioxide equivalent (tCO2e), at a value of $5 per tonne, according to a summary of the agreement. Theoretically, this would mean that the funder countries would pay for up to 20 MtCO2e, the equivalent of the emissions that about five coal-fired power plants spew into the atmosphere over a year. The number of tonnes, however, is dependent on exchange rate fluctuations and ultimately the commitment is counted in financial volume and not in tCO2e. The emissions reductions must be verified by an independent third party, with a verification of Colombia’s 2013-2014 emissions reductions to be commissioned early in 2016. Once verified, the emissions reductions will then be recorded on a mandatory registry system, which Colombia will develop in the coming months. Though REM requires that the carbon registry include “transaction” functions, the emissions reductions will not be traded as carbon “offsets” or used for compliance purposes by the developed countries providing the money. The avoided emissions are calculated based on measured changes in forest cover (or lack thereof) in the Amazon against a reference level submitted to the UNFCCC. Colombia is one of a handful of countries to date to submit such a deforestation reference level, which averaged 82,883 hectares annually between 2000 and 2012. Using satellite imagery and field data for different forest types, Colombia determined that an estimated 566 tCO2e is released into the atmosphere with every hectare deforested. The country’s 45 million hectares of tropical rainforest are incredibly biodiverse, hosting a quarter of the world’s terrestrial species and a human population of 1.2 million. Following decades of armed conflict that forced many forest-dwelling villagers to flee to cities, some internally displaced people are now moving home. An emerging peace deal between the Juan Manuel Santos government and the Revolutionary Armed Forces of Colombia (known as “Farc”) means that Colombia may usher in a new era of development – with some possible unintended side effects. “It is clear that a sociopolitical scenario of the end of the armed conflict can stimulate accelerated deforestation as it creates greater investor confidence and allows entry to areas formerly inaccessible by the conflict,” Colombia’s deforestation reference level document explains. Current drivers of deforestation include cattle ranching above all but also mining, oil and gas exploration, and agricultural expansion, with a mix of legal and illicit activities. The REM agreement specifies that at least 60% of funds must go to benefit local actors through the development of sustainable agriculture – in particular beef, dairy, cocoa, and rubber – as well as improved forest governance, particularly in indigenous territories. 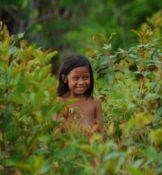 “With the REM Programme, we are taking an important step to support the construction of the Amazon Vision, whose main objective is to significantly reduce deforestation, halt the accelerated transformation of this strategic region, benefit local communities and contribute to the wellbeing of indigenous peoples, who have allowed through their traditional practices, the conservation of much of the Amazon rainforest,” Colombia’s Minister of Environment and Sustainable Development Gabriel Vallejo said in a statement. The contract with Colombia is the third in a series of REM agreements signed over the last few years. In the first agreement signed in 2012, KfW offered $40 million to the state of Acre, Brazil to deliver 8 million tCO2e between 2013 and 2016. In 2014 the program expanded to Ecuador, with Germany and Norway together paying the small rainforest nation $50 million for up to 10 MtCO2e. Want carbon news delivered straight to you inbox? Sign up for Ecosystem Marketplace’s free biweekly carbon newsletter. Just send us a note and write “subscribe” in the subject line.